Sweet foods can be bad for you, but some are bad for the environment, too. 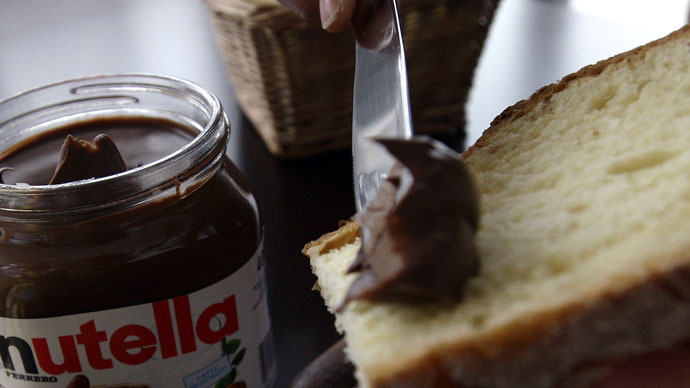 France’s ecology minister is calling for a boycott of Nutella, the hazelnut chocolate spread, saying its use of palm oil is contributing to deforestation in Asia and Latin America. France’s environment minister, Segolene Royal, said people should stop eating Nutella as one of its primary ingredients is palm oil, and producing it leads to massive deforestation. “We have to replant a lot of trees because there is massive deforestation that also leads to global warming. We should stop eating Nutella, for example, because it’s made with palm oil,” Royal said. “Oil palms have replaced trees, and therefore caused considerable damage to the environment,” she said. She made the comments on France’s Canal+ TV on Monday evening. The program’s presenter, Yann Barthès, objected to her boycott call, saying the spread tasted good. Royal agreed, but insisted that people should stop eating it nevertheless. #SegoleneRoyal let's start with "foie gras"...#Nutella rules!!!! Ferrero, the Italian chocolatier that makes Nutella, said it was aware of the environmental impact of palm oil production and that it made commitments to making its supply of the ingredient sustainable and ethical under the so-called RSPO initiative. How can one join the boycott of #Nutella after not having bought any in yrs on grounds of cost-benefit analysis? Asking for a friend. As of 2014, Ferrero’s entire supply of palm oil is RSPO-certified, the company insisted in a statement Tuesday. Ferrero sources nearly four-fifths of its palm oil from Malaysia. The rest comes from Papua New Guinea, Indonesia and Brazil. So I need to stop eating #Nutella AND the internet might be rationed in order to save the planet? Stupid Earth. In 2012, French lawmakers tried to put a 300 percent tax on palm oil. They argued that it was fattening and bad for the environment. The legislation was defeated.